Paris Saint-Germain are set to launch an audacious £70 million move for Liverpool midfielder Philippe Coutinho, according to reports in France. Le10 Sport says PSG chiefs are keen to bring the Brazilian to the club and have made contact with Coutinho’s representatives. According to The Mirror, Arsenal forward Alexis Sanchez is demanding a huge wage increase of £125,000 per week to stay at the Emirates. The Chilean wants an eye-watering £400,000 if he is to remain as a Gunner with just one year left on his current deal. 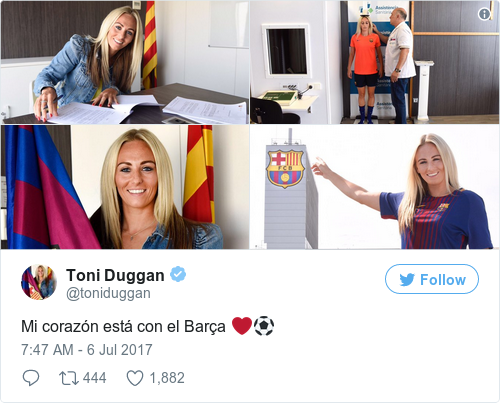 England international Toni Duggan has completed her move to Barcelona in one of the highest-profile transfers in the women’s game. The striker has signed a two-year deal with the Spanish club and leaves Man City after helping them to win the Women’s Super League as well as the FA Cup. Sunderland midfielder Seb Larsson is set to leave the club after six years, according to the Chronicle. The Swedish international has been offered a new deal at the Stadium of Light but his agent has said there is interest from other clubs in England as well as Turkey and China. RB Leipzig have signed Jean-Kevin Augustin from Paris Saint-Germain on a five-year deal. A fee for the 20-year-old forward was not disclosed by the Bundesliga club but German media outlet Kicker report it to be €13 million. Iker Casillas has extended his stay at Porto for another season. The former Real Madrid goalkeeper was out of contract with Porto, but announced his new deal earlier. The 36-year-old has spent the last two seasons with Porto after leaving Real Madrid, where he played his whole professional career until 2015. Barcelona have had a £20 million bid for ex-Tottenham midfielder Paulinho rejected by Guangzhou Evergrande. The Chinese Super League club released a statement on Thursday revealing the Spanish club had made a formal approach for the Brazilian but that they had no intention of selling. “Paulinho, having already renewed his contract in January 2017, is an important player for our club’s the long-term project,” Guangzhou Evergrande said. “Therefore, our club have given a formal response to the Barcelona football club that we reject their bid for Paulinho, who is not in our transfer plan whatsoever. According to reports in China, Barcelona would look to pay the £20m fee for Paulinho in instalments, rather than all up front. Evergrande, though, had no interest in discussing a deal of any kind and have made it clear that the 28-year-old is not on the market. On this day 22 years ago, Newcastle completed the shock signing of David Ginola for £2.5 million. The French winger had turned down offers from AC Milan, Juventus, Barcelona and Bayern Munich to move to Tyneside on a four-year contract. Ginola spent two years at St James’ Park, scoring six goals in 58 Premier League appearances, before signing for Tottenham in 1997. Email “PSG launch big-money move for Coutinho, England star joins Barcelona and all of today's transfer gossip”. Feedback on “PSG launch big-money move for Coutinho, England star joins Barcelona and all of today's transfer gossip”.